Field & Stream Magazine has published their Best Of list for 2013. One category we looked forward to was the Best Rifle Scope of 2013. For F&S it was the Vortex Razor HD GEN II 1–6x24mm. 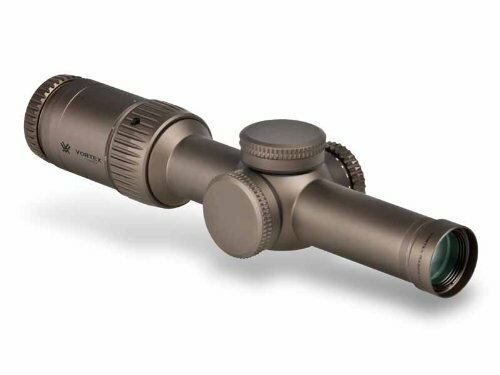 The Vortex Razor shines with many features that you would expect for a sophisticated scope like this. It’s made from a single piece aluminum tubing and comes with multi-coated, high-density glass. Everything is packaged scratch and dust resistant. Most noticeable is the aggressive knurling on the turret caps—and on the -illumination dial, a just-this-side-of-chainsaw-teeth violently aggressive knurling that can be felt through thick gloves. In a bow to This Is Spinal Tap, the dial goes to 11, turning off between increments. The second-focal-plane illuminated reticle, which does not change size with magnification, includes reference marks matched to .223 and .308 ballistics but is easily adapted to almost any cartridge and bullet with the vortex online long range ballistic calculator. See the complete list of Best of 2013 on Field & Stream Magazine when you click here. 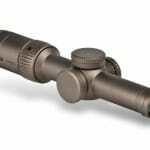 They concluded that despite many excellent new scopes, the Vortex Razor HD GEN II 1–6x24mm was the most excellent one. The Razor Gen II is a medium range scope that would be a perfect match for hunting African dangerous game. What is your pick for the best riflescope of 2013? Share your thoughts and opinions through the comments below! Check out our other riflescope reviews at http://riflescopescenter.com.